Solar installer and leasing company SolarCity has partnered with large electronics retailer Best Buy to offer residential solar systems through 60 stores in Arizona, California, Hawaii, New York, and Oregon. Representatives from SolarCity will give interested customers a quick estimate of costs and potential savings involved in a 20 year solar lease. There are no guarantees of cost savings, but by locking in a set rate for solar power generated over the time of the lease, customers will be able to benefit from not having to pay the price rises likely associated with traditional utility company rates. How much will utility power cost in 5, 10, 15, 20 years? 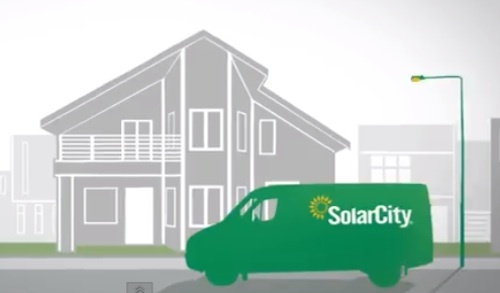 Rather than buying a (still quite expensive) solar system outright, SolarCity leases a solar system to the customer and installs it. The main benefits to the customer are that lack of big upfront costs, and not having to worry about installation costs and maintenance. The homeowner just pays a monthly cost for electricity over the life of the contract. It’s solar power delivered as a service, rather than as equipment you own. Will you be able to sell your home with a solar lease or PPA attached to it for the next 20 years? Bit of scaremongering there. People seem to be liking the lack of big upfront costs with leasing, which are still quite large. It’s a lot like many other services people pay monthly for. Did anyone mentioned this article was funded by?…. Reads like an ad.